¿A dónde va el dinero de los peajes en Miami-Dade? Expertos: El cambio en Venezuela demorará. Last year after Hurricane Maria devastated Puerto Rico’s electrical grid and left thousands without homes, Puerto Ricans and politicians from Florida were determined to encourage the 18,103 evacuees from the island registered with the Federal Emergency Management Agency to participate in the midterm elections. In a recent state voter file, 3,147 new voters who have Puerto Rican area codes registered to vote since Hurricane Maria. About 36 percent of those who registered filed under Democrats, while 6 percent registered as Republicans. The majority, 55 percent, registered with no party affiliation. Florida politicians such as Democratic nominee for governor Andrew Gillum are aware of the growing population of Puerto Ricans in Florida. During the elections, politicians began to list Puerto Rico as one of their important issues, and Puerto Ricans themselves started to mobilize, making their voices heard in the state. 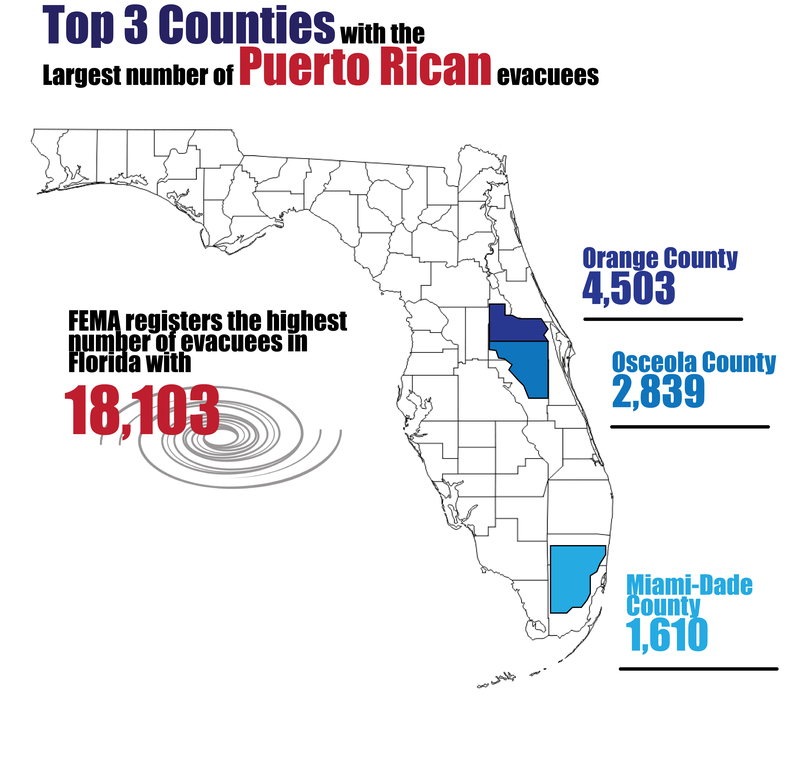 Central Florida, Osceola County and Orange County specifically, have the largest population of Puerto Rican evacuees at around 7,000, followed by Miami-Dade County with approximately 2,000 evacuees. Organizations such as Boricua Vota, a non-profit group based in Orlando, inform Puerto Rican communities about the importance of voting, and how electing the right candidate can be beneficial for the future of the island. 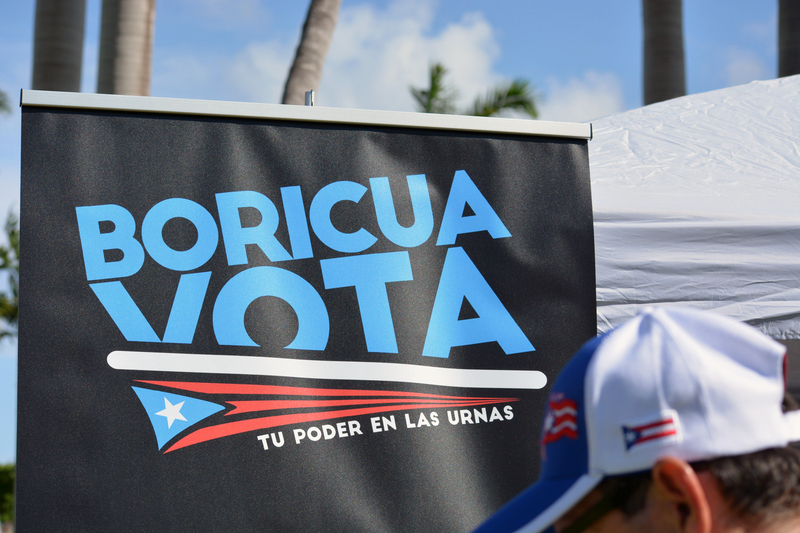 Boricua Vota also focuses on informing new residents about the political process in the U.S. Puerto Ricans on the island do not vote during the U.S. presidential or congressional elections. In a recent study done by George Washington University’s Milken Institute School of Public Health, a study that was ordered by the Governor of Puerto Rico, Ricardo Rosselló – Hurricane Maria directly or indirectly caused approximately 2,975 deaths. The new official number of fatalities has caused President Donald Trump to deny the recent study, claiming the numbers were “fifty times last original number – no way!” Many public figures and Puerto Ricans have expressed disbelief and anger at the President’s false claims. Torres, a Puerto Rican himself who was born in Bronx, New York but was raised on the island, founded the organization after moving to Florida in 2013. In order to “spice up” the political interest of Puerto Ricans in Florida, the organization uses traditional Puerto Rican techniques. They host parades called “caravanas” where they drive around communities in cars playing music, all decorated with the Puerto Rican flag while they encourage the crowd to vote. They also hold “plenero flash mobs” in which they show up to Puerto Rican owned businesses, such as barbershops, and sing jingles with political messages. Influencing Puerto Rican millennials to vote has also been a priority for these non-profit organizations. Giovanna Rivera Lopez, a youth organizer for Alianza for Progress, encourages millennials to have a voice in the community. “We make them feel comfortable by talking to them about important issues in places where young adults hang out,” said Giovanna Rivera Lopez. “The other day we went to a ‘Residente’ concert because we knew that is where millennials would be.” Giovanna Rivera Lopez said they have to interact with millennials differently because what would work with an older crowd, might not work with 20-year-olds. They approach them casually, talking about relatable social issues and how they can get involved in the community by registering. The lack of opportunity on the island forces the younger, working population to move to the states, according to Krizia Lopez, where they can vote to better the future of the people that are still on the island. “The working [Puerto Rican] generation, a lot of them are here, and they will make a difference,” said Krizia Lopez. 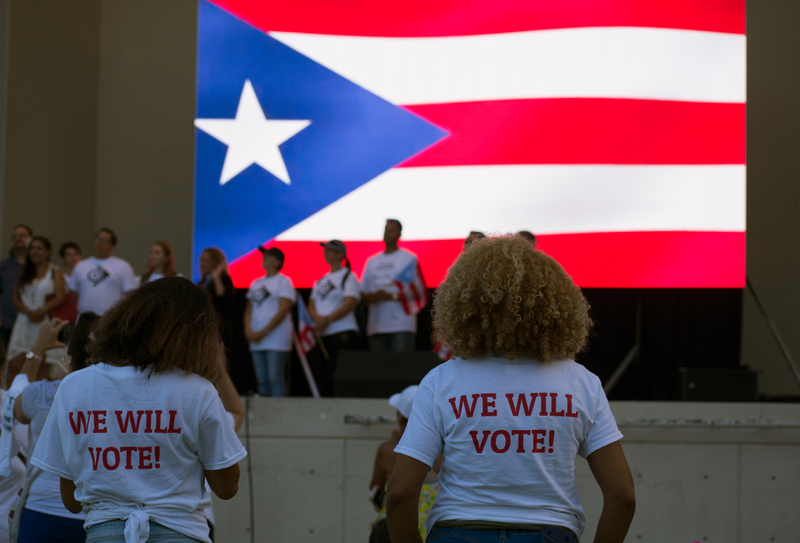 Even with the efforts of organizations like Boricua Vota and Alianza for Progress, there is no data that supports whether or not there is an increase of registered Puerto Rican voters. It’s also unknown whether or not there was an increase of Puerto Rican votes in August’s primary elections. Giovanna Rivera Lopez said that some Puerto Ricans who relocated to Florida after Hurricane Maria might not prioritize voting. On the island, Puerto Ricans have to register in person at the state election commission and acquire a voting identification card. After registering, each person is assigned to a specific voting center where they have to cast their vote. They can only vote in the place their name falls under. Primaries are cast every three years and only on a specific Sunday. The general election is every four years on the same day as the Election Day in the United States. Some of the issues that face recent evacuees are housing and language barrier when finding employment, and they seek candidates who understand their needs and difficulty. Giovanna Rivera Lopez said how the lack of help from the White House and the resilience they had to endure is what would motivate Puerto Ricans to elect candidates who support their situation. Some of the preferred candidates from the Puerto Rican diaspora, near central Florida, succeeded in the primaries. Darren Soto, the first Congressman of Puerto Rican descent, was re-elected for Representative of Florida’s 9th Congressional District, which includes Osceola County, parts of Orange County and parts of Polk County. Maribel Gomez-Cordero, who was born in Puerto Rico, came in second for District 4 Orange County Commissioner, getting 2,500 more votes than when she previously ran for office.